For over 15 years Ms. Luther has been committed to pursuing justice on behalf of the individuals and families who have been wronged through the negligent actions of others. Sommer D. Luther, Esq. received her undergraduate degree from the University of Florida and her Juris Doctorate from the University of Denver School of Law. Ms. Luther was admitted to the Colorado Bar in 2003 and is licensed to practice in both state and federal court. 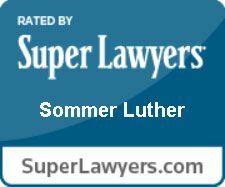 Attorney Sommer Luther has been representing victims of personal injuries and medical malpractice in Colorado since 2003. Ms. Luther is an award winning attorney. In 2012 she was named the Colorado Trial Lawyer’s Association New Lawyer of the Year. In her free time Ms. Luther enjoys watching her two young boys play baseball, boating, and guest lecturing to other legal professionals. 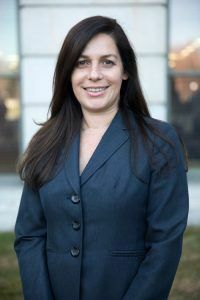 Ms. Luther is a member of the Colorado Bar Association, Denver Bar Association, the Colorado Trial Lawyer Association and the American Association for Justice. Ms. Luther is currently President of the Colorado Trial Lawyer’s Association. Ms. Luther can be reached at (303) 694-4653 or through the contact form on this webpage.